You are currently browsing articles tagged white line disease. 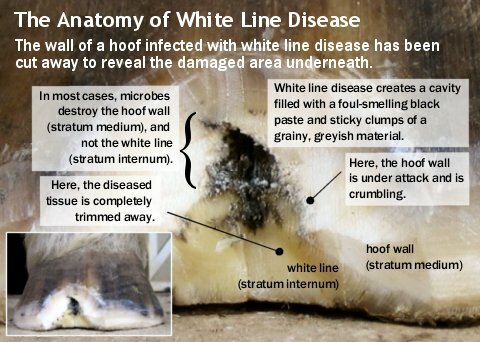 Read the articles linked below to learn about different theories on White Line Disease – the micro-organisms involved, other contributing factors, and effective treatments. Various approaches have been used to explore the causes and processes of this disorder. Scientists have tried to identify the micro-organisms involved and to artificially create the disorder in healthy horses to explore contributing factors – often with inconsistent and conflicting results. The articles below cover some the most commonly-mentioned studies, discussing the methods used, and the results and conclusions. 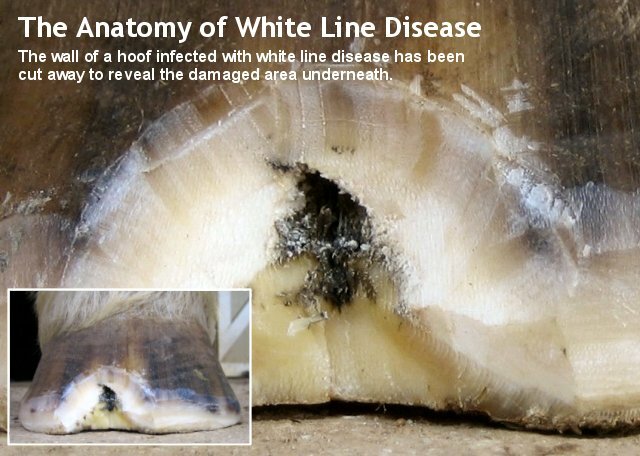 White Line Disease – What is it?